I’m a fan of smoothies, they’re like having dessert for breakfast with none of the the nutritional downfalls. I’ve always used yogurt in them though, the few smoothies I’ve had made with ice just didn’t have the flavor I like. Of course since I decided that I haven’t tried all that many different recipes using ice so it’s not exactly a fair assessment. I just put them in the Ninja in the order listed and blended. I did break the banana in half so it would fit. Easy, delicious and vegan, what else could I ask for? It is unfortunate that they look kind of brown… but even my youngest son was singing it’s praise, definitely try this one. 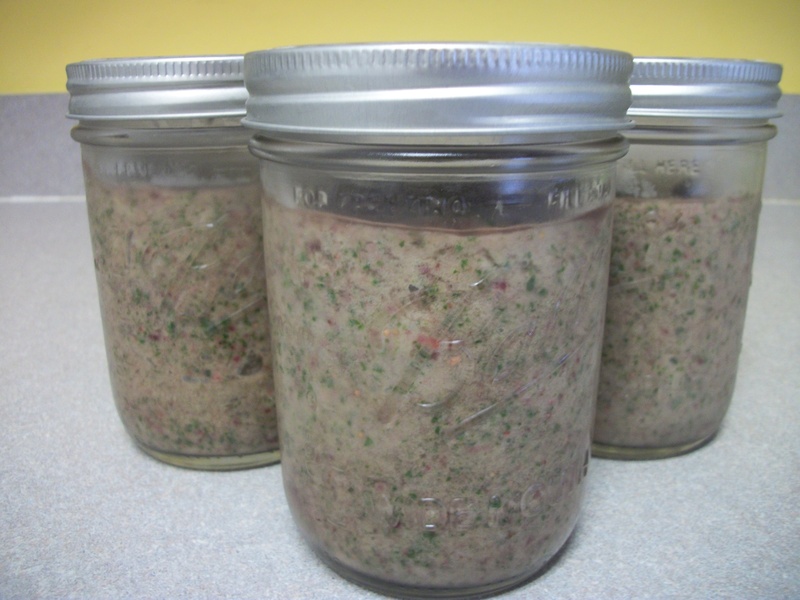 I made several and froze enough in mason jars to bring with me for breakfast the rest of the week. That way I know I’ll have a quick and healthy breakfast every day this week! I’ve been in the mood for salads lately so that’s just what I’m doing for lunches this week. I cut up, washed and spun a head of green leaf and I’ll bring that with some cucumbers, tomatoes and radishes every day. 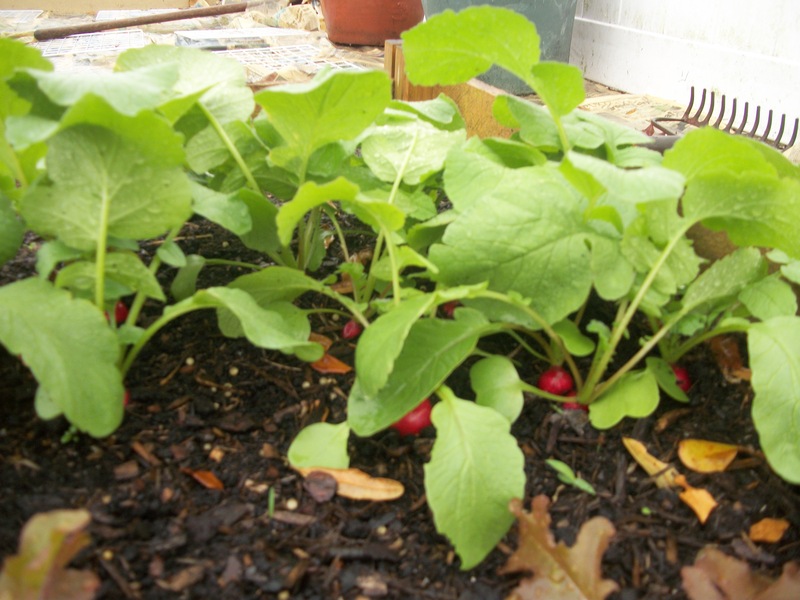 I just pulled the first radishes of the season form the garden this morning, I”m going to throw the leaves in the salads too. Waste not want not and all. I’ve recently seen that you can fry or roast radishes, I may try that soon just for fun. Anyone every try cooked radishes? This entry was posted in Gardening, Meatless Monday, Vegetarian by Kinda Zennish. Bookmark the permalink. This is exactly what I’ve been looking for! I wanted to pre-make smoothies so that I can grab and go in the morning. Thanks! I don’t know about you but if I can’t just grab something on the run for breakfast I tend to eat total junk or not at all!